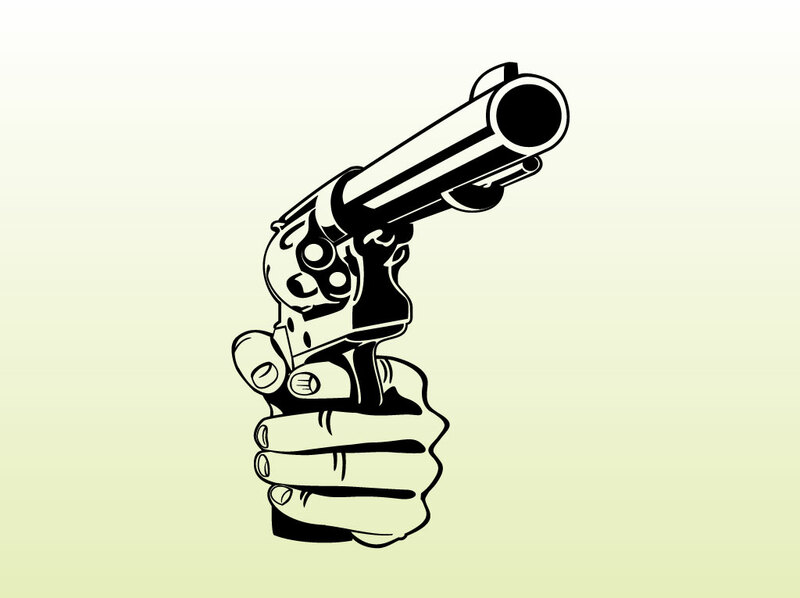 Weapon vector illustration of hand aiming a revolver pistol set on light tan green colored background. Traditional hand drawn style clip art graphics to use in police themes, gun control blog articles and cartoon app icons. Free download for your stock comic and weapon images library. Tags: Criminal, Gangster, Gun, Loaded, Revolver, Threat, Violence, Violent, Weapon.